If you’ve been a gamer for any period of time, it’s likely that you’ve considered setting up a dedicated gaming space. Whether you’re looking to turn an entire room or a portion of a living area into your space, we’ve got tips for how to do this, even if you’re on a budget. 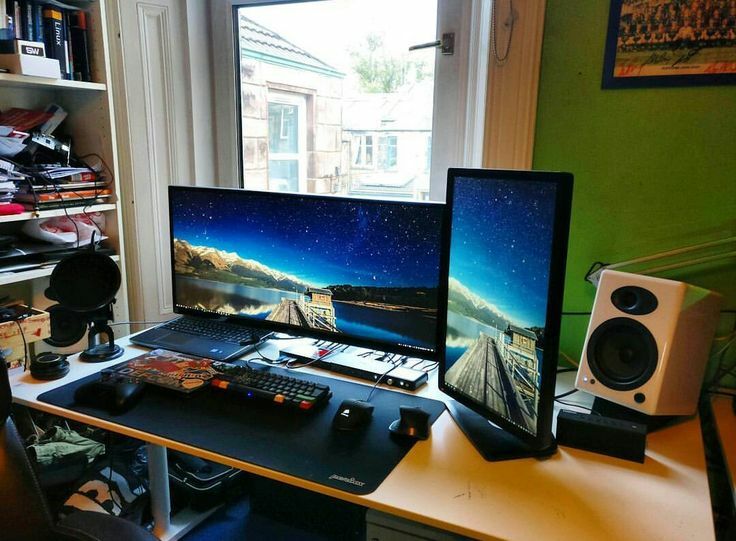 Where will you set up your gaming space? If you have a room in mind in your home, assess the space available. If you want to feel like you’re immersed in your game and the gaming experience, then you want a room that’s not too big. While you don’t want too big, you also don’t want to be too close to the tv or screen that you’re using. When you find the room that you want to use, go into the room and determine where your screen will go and where your primary sitting area will be to determine if it works for you. You can simply put a computer, a game controller and a folding chair in the room to test it out and see how the space feels before moving any furniture into the room. The next most important part of the gaming room set up is your sound system. A poor speaker system can ruin the whole experience. There are several types of speakers that you can use. The most common used in game rooms are 2.1, 5.1, 7.1, and 9.1. Wireless is best because it eliminates the need to cover the wires for appearances and safety sake. Speakers can get pricey, so you may want to consider looking for good deals on used speakers. Many times you can find good quality at great prices if you go this route. Unless you live alone, soundproofing the room should be your top priority. Not only does it keep you in good favor with your family members or roommates but it also enhances the quality of your sound. There are several methods of soundproofing you can utilize. Some of the simplest methods are using carpet and thick curtains to absorb the sound. Thiswon’t soundproof it,but it does help to muffle the sound. For complete soundproofing, you will want to add framing to the walls and ceiling and add layers of insulation. You can also find drywall that is specifically for noise control or free-standing acoustic panels that help absorb the noise. The best way to approach the soundproofing aspect is to sit down with your budget first. See what you can afford to spend and then work your way through the different options to determine which is the best fit for you. There are numerous options for viewing your games, whether you get a LED TV, use computer monitors, or use a projector screening onto a bare white wall. Find what is most comfortable for you. For budget management, don’t go for the newest, highest end TV or monitor. You can get something that is a few years old, yet does the job quite efficiently. There are great deals to be found on TVs throughout the year. Shop around and go for the best deal. Another important factor is to make sure that your TV or screening console has the correct amount ofinputs for your game console and other accessories and that it will pair with your speakers. Once you’ve decided on how you’re setting up your gaming room, it’s time to get ready to play. This is the perfect time to refresh yourself on the rules of the games. If you love poker and poker-style games and are looking forward to your new in-home casino, make sure you’re caught up on the rules and game etiquette before you sit down in a virtual gaming scenario. You can find rules and guides on online gaming etiquette for all game types. Additional things to consider include lighting and wireless capabilities. Like the rest of the game room set up, neither of these need to be expensive. Determine what you need, what you already have that you can use, and then what you’ll still need to shop for. Before you know it, you’ll have your online gaming den ready to go, with little impact on your wallet.